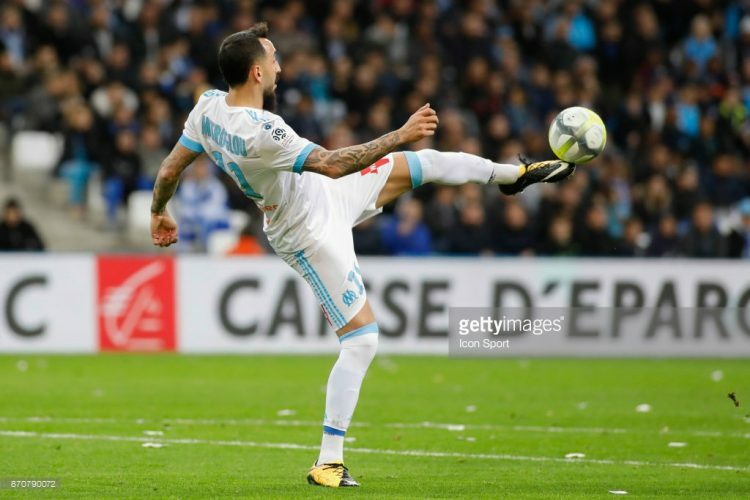 Marseille vs Bordeaux Prediction, Betting Tips and Match Preview. Check the match preview, betting tips, useful info and football predictions for the match between Marseille vs Bordeaux in Ligue 1. Marseille will hope to reduce the gap to second-placed Monaco to one point when they take on a resurgent Bordeaux. This Marseille vs Bordeaux Ligue 1 match will be played at the Orange Velodrome in Marseille on Sunday, February 18, so check out our Marseille vs Bordeaux prediction and betting tips. Marseille have improved a lot from the last season and are looking every bit a competitor for the Champions League qualification places. Ahead of this Marseille vs Bordeaux game, the hosts are third in Ligue 1 (52 pts, W15, D7, L3) after 25 games. They remain four points behind Monaco in the second place, having played a game extra. A win in this fixture will move Marseille back to within a point of Monaco increasing their chances of direct Champions League qualification. Paris Saint Germain are 13 points ahead of Marseille and it is safe to say that the hosts are not in the reckoning for the Ligue 1 title. Coming into this fixture, the hosts are unbeaten in their last 11 games (W9, D2) in all competitions while in Ligue 1, they have just one loss in their last 20 games (W13, D6). Bordeaux are not in the race for top-four as they stand in seventh place in the league ahead of this Marseille vs Bordeaux match. They are a huge 13 points adrift of the top-four and that is something they would like to reduce. That may look a large gap, but considering the recent form of the visitors, it may not be long before they reduce it to single digits. In their last six league matches, the visitors have five wins and just one loss, including four consecutive wins coming into this fixture. Prior to that, they have lost nine of their previous 12 Ligue 1 games, winning just once. Away from home too, Bordeaux have improved, picking up three wins in a row after a wretched run of six straight losses. However, they are up against a host who haven’t lost at home in the league since September, winning seven of the nine home matches since. Most of the recent encounters between these sides have been stalemates, with five of the previous seven matches ending in draws. Of the remaining, each side has won once. For Marseille, Bouna Sarr is suspended while Steve Mandanda will be out for a couple of weeks. Kostas Mitroglu and Gregory Sertic are injury concerns too. For Bordeaux, Maxime Poundje has picked up five yellow cards and will be suspended. Alexandre Mendy and Igor Lewczuk are doubtful as well. Marseille: Pele (GK), Sakai, Rami, Abdennour, Bedimo, Anguissa, Gustavo, Thauvin, Sanson, Ocampos, N’Jie. Bordeaux: Costil (GK), Sabaly, Kounde, Pablo, Pellenard, Lerager, Otavio, Meite, Malcom, Laborde, Preville. It is difficult to pick a winner in this game considering the form of both sides. We expect goals at both ends and that is our primary pick. Marseille’s sensational run at home makes them favourites to pick up full points from this fixture. The visitors are in good form too, but may struggle to stop their hosts.